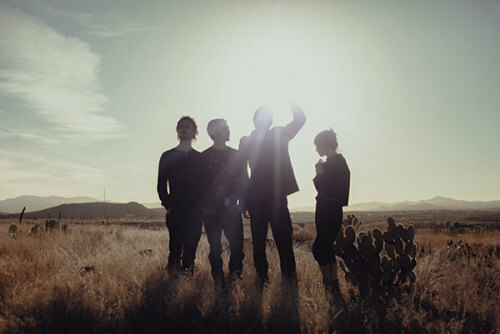 Hundred Waters came together in 2011 when four roommates started casually making music in their small college town, Gainesville, Florida. Soon after, they put out a self-titled debut, introducing their bewitching digital folk with no real expectations. The album was well received, and that same year the group unexpectedly signed to EDM superstar Skrillex’s label, OWSLA – the first time indie rockers were invited to join the roster. With the recent release of their second full-length, The Moon Rang Like A Bell, it’s hard to believe a band that started out with an already unique sound was able to grow so beautifully. Swapping comic folk for more of an electronic flavor, the production on the new record is out of this world. This time around, Hundred Waters put out a particularly instrumental album featuring majestic lyricism - ambient pop that transcends, making music really feel like magic. Listen to The Moon Rang Like A Bell in its entirety here. And honestly, how could you miss them July 21 in the Entry? Check out pics from Brooklyn Vegan for a taste of what it’ll be like.